2 Balance of Power 5' 25"
11 The Jig 5' 35"
Difficult one this for me as some of the music is excellent. Sadly I had to sell the album on to another company because of lack of funds mainly due to the fact that the people who ran the circus and for whom the music was written turned out to be less than honest and I was left holding the baby to the tune of £38,000. I would like to buy this album back one day if I could. I really liked the jig!!! During the circus run, one of the members of the band, (unmarried member it must be said), had an incredible fling with the high wire gymnastic lady. Boy were the rest of us envious!!! Rick goes to the circus! I've never seen Cirque Surreal, but the music does seem to convey that kind of circus atmosphere, something to accompany feats of daring, constantly active performance that you would expect. Wings Of Fortune and Static seem to convey this to me most strongly, with that carnival-like organ playing. I must freely admit I don't know much about keyboards, but at least one used here sounds exactly the same as that used in Return To The Centre Of The Earth (only 4 years between them after all), and so I was sometimes reminded of that album, especially during the songs on Cirque Surreal. I'm afraid that the songs here did little for me. They don't sound bad, but they don't stand out. To put it another way, if this had been the first RW album I'd ever heard, I would've concluded "Stick to the instrumentals Rick, that's where you shine so well." Of course I do know better, and he has written some great songs, from Guinevere to Still Waters Run Deep. But that greatness does not shine here for me. As I intimated though, the instrumentals are excellent. It probably comes as no surprise then that my favourites on Cirque Surreal are devoid of lyric, they being the aforementioned Wings Of Fortune, Static, and the final track, The Jig. The Jig is wonderfully upbeat, and sounds like modern day Celtic folk music. It's a perfect finale to the album. Overall, I think Cirque Surreal should appeal to those of you that liked Return To The Centre Of The Earth. It isn't the same huge production, but Rick and his band are so pumped up here, it doesn't need to be. There are definitely at least a few tracks here that deserve to stand out up among the greats. Whilst a huge fan off all Rick's early, I haven't been a devoted follow for years. So naturally with the huge number of releases many have slipped by me. The last few years have been devoted to remedying that situation. Amongst the "new" discoveries is Cirque Surreal. Any what a find it is! If you like vintage Rick and all the great synth sounds, melodies and generally mind blowing playing, then get this album. Some stand out tracks for me Gnash, Wired for sound and Juliet. The whole band is a tight as all heck with precision playing throughout. Some pretty good guitar from Fraser Thorneycroft-Smith and the vocals from Chrissie Hammond (not all tracks) are superb. 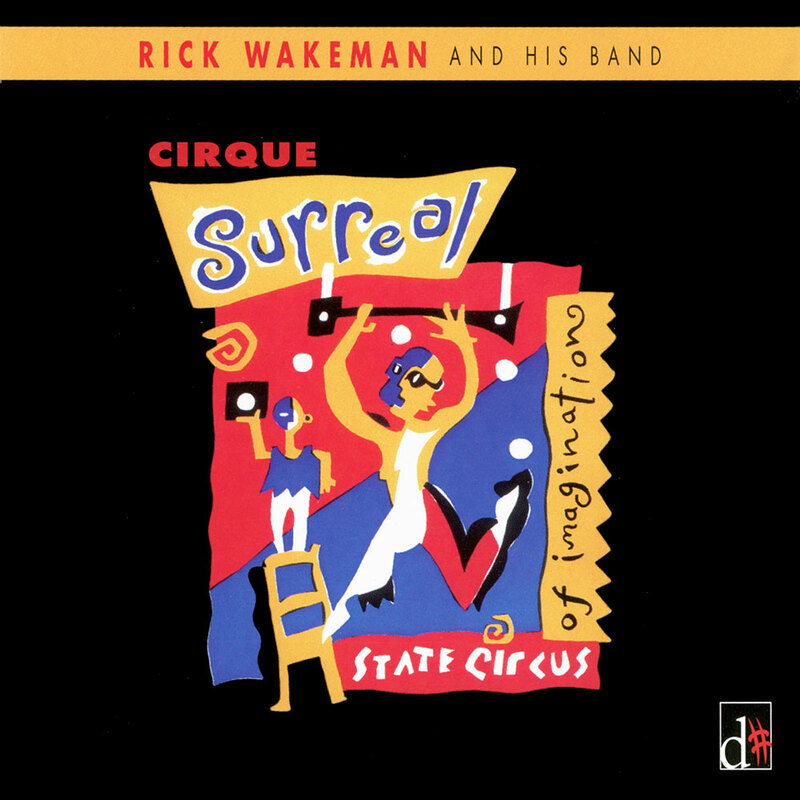 All in all a great Wakeman album.